Division One: Bell Ringers v Railroad Rangers - postponed, Ex-Service Squares 3 Pot Bellies 6, Ex-Service W 3 Ex-Service Hotspots 6, Seaview Nil 2 Seaview Lads 7. Division Two: Ex-Service Newbies 6 Finnigans 3, Railroad Xl 8 Ex-Service Shufflers 1, Stumblers 4 Highway Dominators 5, WMC Sambucas 6 Garden City 3, Liberal B 4 Ex-Service Shufflers 5. This week’s 3-0 table winners: M. Bradshaw (Pot Bellies), Pam Fisher (Railroad Xl), P. Fry (WMC Sambucas), Tony Godrich (Railroad Xl), H. Goy (Seaview Lads), R. Harris (Seaview Lads), J. McPake (WMC Sambucas), J. Pinnigar (Pot Bellies), Joyce Price (Railroad Xl), Ann Smith (Railroad Xl), B. Townend (Ex-Service Newbies), L.P. Townend (Ex-Service Newbies). 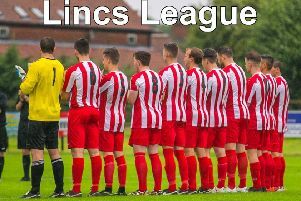 The 3-0 leaderboards: 4 - L. Parker (Railroad Rangers), 3 - M. Bradshaw (Pot Bellies), A. Burkitt (Railroad Rangers), H. Goy (Seaview Lads), B. Harpham (Railroad Rangers), P. Smith (Railroad Rangers), M. Widdowson (Seaview Lads).